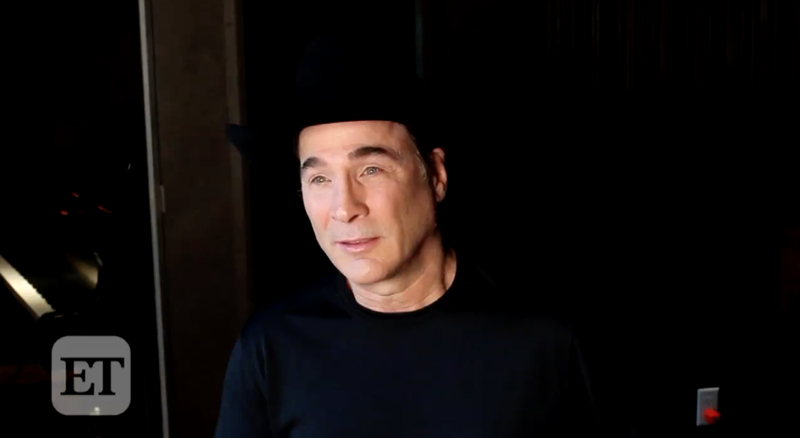 Clint Black is doing what he can for his hometown of Houston, Texas, in the wake of Hurricane Harvey. The 55-year-old country singer opened up about the devastation to ET on Tuesday, sharing that he and his family are "praying" for those affected by the disaster. "We've been very lucky down there, counting our blessings and praying for everyone else," Black said. "What we worry about most right now are the lives, and there are gonna be some long term needs," he added. "I know a lot of us are going to be looking at ways to lend our voices, our music, our songs, auction guitars, cowboys hats, boots, whatever we can do to get people to reach into their pockets. I'll be making donations to the Salvation Army, myself. I have great faith in them to find those that are in the greatest need, so we'll be looking for all those ways to help." In addition to the Salvation Army, Black -- who wrote his song, "The Great Flood," about the Mississippi and Missouri rivers flood of 1993 -- praised Houston's first responders and brave citizens who stepped up to help their friends and neighbors. "Personally, being a Houstonian, I want to give a shout-out to, of course, all of the first responders doing a great job. All the citizens who got out on their own accord and helped, but also to all the other states," he said. "I know that people came from as far away as Utah and just jumped in the water and started rescuing people. We got the Cajun Navy that came over from Louisiana... so many states [are] sending their rescue workers. So many citizens [are] pitching in." "It's really heartwarming, when you see all the suffering, when you see all the worry and grief, it's uplifting to see how many people will jump into that nasty water and pull someone to safety, or their pets," he shared.